SMX East 2013 hits New York Oct. 1-3 and search marketers the world over are gearing up. The SMX East agenda is filled with more than 50 highly anticipated sessions covering everything SEOs and SEMs are passionate about, including a session on Google Glass. How will Glass change search behavior? Matt McGee is the editor-in-chief of Search Engine Land and Marketing Land. He has documented his journey with Google Glass over the past four months and recently launched Glass Almanac, a site dedicated to “all things Google Glass,” including news, tips and features. Here, McGee answers questions on his experience with Google Glass. Kristi Kellogg: In June, you listed 14 Things Google Glass Needs, including improved photo framing, security, photo framing and more. 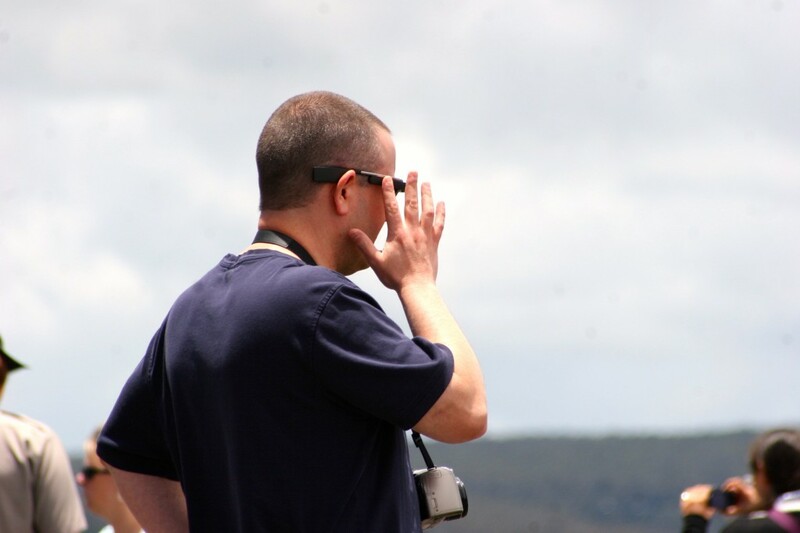 Considering Google Glass is still an alpha version, insights from users like you are highly valuable. What else would you like to see change or improve? Matt McGee: A lot of the items on that list from June would still be on my list if I did another one today. The battery life seems to be a bit better, but it still drains really quickly if you’re shooting video, for example. And I’d still like to see better photo framing options, better navigation and better management of the data “cards” that you get when using Glass. Matt McGee adjusts his Google Glass. Photo by Danny Sullivan. But some other items on that list have been addressed, which is cool. Google is pushing out monthly software updates that add new features, and the ability to get information via search is a lot better now. Some of the improvements aren’t coming from Google — developers are starting to create a lot of apps with different capabilities, which is cool to see and it’s how smartphones developed years ago, too. That’s something I’d put high on my wishlist right now: an easier way to discover new apps. Right now there are three to four independent sites that list Glass apps, but they’re not complete by any means. Imagine having an iPhone or Android phone without their accompanying app stores — crazy, right? There aren’t nearly as many Glass apps yet, but I think it’s in Google’s best interest to make app discovery much easier in the future, especially because it’ll be developers that end up creating apps that fill in what Glass itself is missing. KK: What are your top five favorite uses of Google glass? MM: The navigation is really great, and I use it regularly when I’m traveling. It’s helped me when driving to new locations in San Jose, and when walking through San Francisco and Philadelphia earlier this summer. The hands-free camera is also really great, whether for photos or video. I shot some video at a small concert a couple months ago and was really impressed by both the video and audio quality. And the fact that I didn’t have to hold a camera up above my head was great. I also love being able to receive and reply to important tweets via Glass. There are some apps that let you get RSS feeds via Glass, and for an information/news junkie like me, that’s fantastic. It’s a great device for quick information consumption. 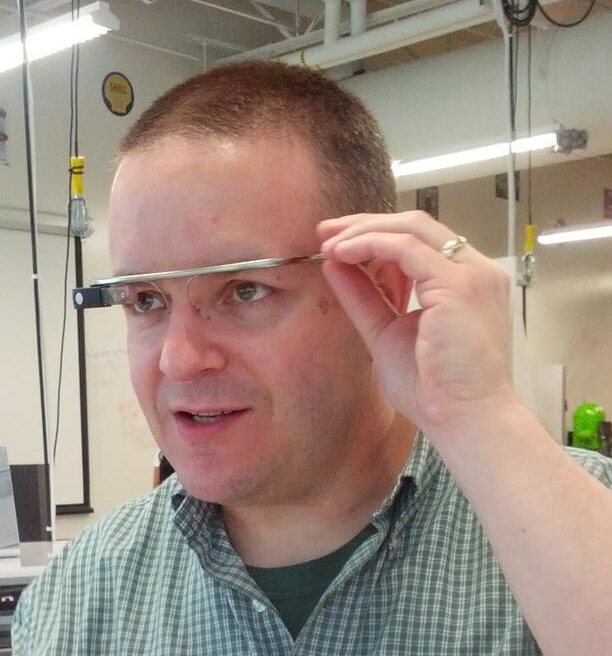 KK: Early on in your Glass journey, you wrote about Positive Public Reactions to Google Glass. Most people are curious and excited, including fellow marketers, a stranger on a plane and even your 11-year-old daughter and her friends. Four months into wearing Glass, how are people responding to Google Glass? Another shot of Matt McGee interacting with the Google Glass. Photo by Mat Siltala. MM: For me, the reactions have stayed pretty consistent. There’s always a percentage of people that either ignore me when I’m wearing it or don’t even know what Glass is. Most people are either polite or just too busy to stop what they’re doing and approach me about it, and that’s cool. But of the people that see me wearing it and know what it is, the reactions are 95 percent either very curious or very positive. I was at a Seattle Mariners game this summer and I could hear a lot of people whispering ‘That’s Google Glass!’ or something similar when walking by me, and a group of guys and gals quizzed me about it while we were waiting for food. I think if Google prices it right, and if the final version has the right features/benefits for consumer use, it’ll be a popular device. It won’t be anywhere near as popular as today’s smartphones, but it doesn’t need to be. It just needs to help people get used to the idea of wearable computers, much like those old brick-style mobile phones had to help people get used to the idea of carrying a phone around 30 years ago. Glass Act: Search Marketers Talk Google Glass will take place on Oct. 1 from 3:30 to 4:45 p.m. If you’re in the audience, you’ll get a chance to ask McGee (and the rest of the speakers) your own questions. We will release our SMX East Live Blog Schedule next week. Virginia Nussey and Chelsea Adams will be on the scene, covering sessions as they happen. Also, it’s not too late to register for Bruce’s one-day SEO Training on Sept. 30. Save ten percent when you use the discount code: WS-BC10.